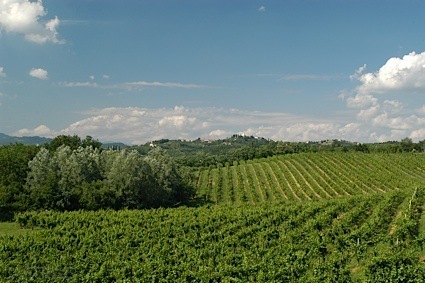 Bottom Line: A unique, completely craveable wine with great roasty character. 86 • Narmada Winery 2013 Reserve, Cabernet Franc, Virginia 13.7% (USA) $32.00. 91 • Narmada Winery 2014 Cabernet Sauvignon, Virginia 13.9% (USA) $35.00. 91 • Narmada Winery 2014 Melange, Virginia 13.3% (USA) $28.00. 83 • Narmada Winery 2011 Reserve, Chardonnay, Virginia 13.8% (USA) $27.00. 87 • Narmada Winery 2015 MOM White Blend, Virginia 14.9% (USA) $20.00. 85 • Narmada Winery 2015 Dream, Traminette, Virginia 13.9% (USA) $21.00. 89 • Narmada Winery 2016 Viognier, Virginia 13.4% (USA) $27.00. 86 • Narmada Winery 2012 Yash-Vir Bordeaux Blend, Virginia 13.1% (USA) $38.00. 89 • Narmada Winery 2014 Midnight Red , Chambourcin, Virginia 13.3% (USA) $21.00. 89 • Narmada Winery 2016 Dream, Virginia 13.7% (USA) $22.00. 91 • Narmada Winery 2014 Reflection, Chambourcin, Virginia 12.9% (USA) $25.00. 87 • Narmada Winery 2016 sur lie Reserve, Chardonel, Virginia 14.3% (USA) $27.00. 91 • Narmada Winery 2017 Viognier, Virginia 13.9% (USA) $27.00. 84 • Narmada Winery 2017 Dream, Traminette, Virginia 14.25% (USA) $22.00. 87 • Narmada Winery 2017 Mom White Blend, Virginia 14.27% (USA) $20.00. 88 • Narmada Winery 2017 Gulabi Rosé, Virginia 13.8% (USA) $24.00. 86 • Narmada Winery 2017 Viognier, Virginia 13.9% (USA) $27.00. 88 • Narmada Winery 2015 Yash-Vir Bordeaux Blend, Virginia 13.6% (USA) $38.00. 90 • Narmada Winery 2016 Petit Verdot, Virginia 13.5% (USA) $35.00. 87 • Narmada Winery 2016 Merlot, Virginia 13.5% (USA) $35.00. 87 • Narmada Winery 2015 Cabernet Franc, Virginia 13.3% (USA) $29.00. 87 • Narmada Winery NV Primita Flavored Dessert Wine 13.95% (USA) $25.00. 84 • Narmada Winery NV Legacy Just Smile Flavored Dessert Wine 12.75% (USA) $27.00. 87 • Narmada Winery 2009 Allure Dessert Wine, Virginia 18% (USA) $36.00. 90 • Narmada Winery 2014 Reserve, Cabernet Franc, Virginia 13.3% (USA) $38.00. 88 • Narmada Winery 2015 Mélange Red Blend, Virginia 13.6% (USA) $30.00. 86 • Narmada Winery 2017 sur lie Reserve, Chardonel, Virginia 13.5% (USA) $28.00. 91 • Narmada Winery 2018 Dream, Traminette, Virginia 13.5% (USA) $22.00. 84 • Narmada Winery 2018 Mom White Blend, Virginia 13.2% (USA) $21.00. 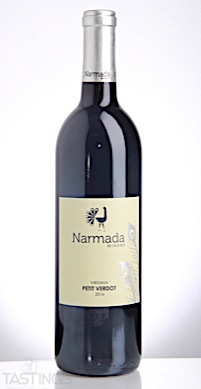 Narmada Winery 2016 Petit Verdot, Virginia rating was calculated by tastings.com to be 90 points out of 100 on 8/9/2018. Please note that MSRP may have changed since the date of our review.